I LOVE IT. BUT I HAVE SEEN IT FOR MUCH LESS MONEY AT OTHER SITES. I HAVE IT BUILT INTO AN OSUBATU TABLE AND IT IS REALLY GORGEOUS. I love this product as it is both beautiful and functional. It actually does heat the room and is a conversation piece. 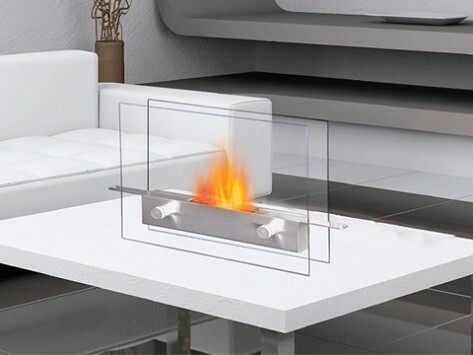 We love this anywhere fireplace. You remove it from the box, fill it and you're ready to enjoy a beautiful flame that lasts for hours. Great design. 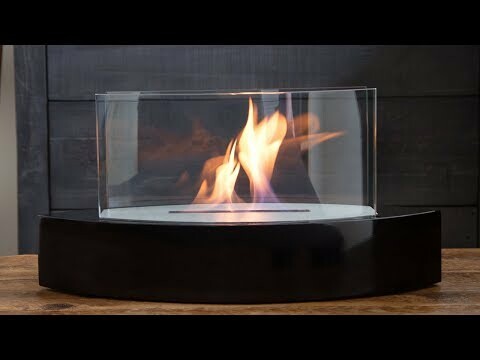 We have used it both indoors and outdoors and would recommend this to anyone looking for an easy to use aesthetic fire feature. Love it, love it, love it! It's everything it claimed to be. The only negative (but could also be a positive in some cases) is that the oil doesn't last long - a couple of hours. Of course, that eliminates the need for planning if you want to have cocktails near the fire and then go out to dinner - the perfect set up! Flame burns true and beautiful. The quality of its design makes it a serene feature in any room.